Stop by the Plato’s Closet in Paoli Village Shoppes from January 8th-10th for the BOGO Clearance sale. 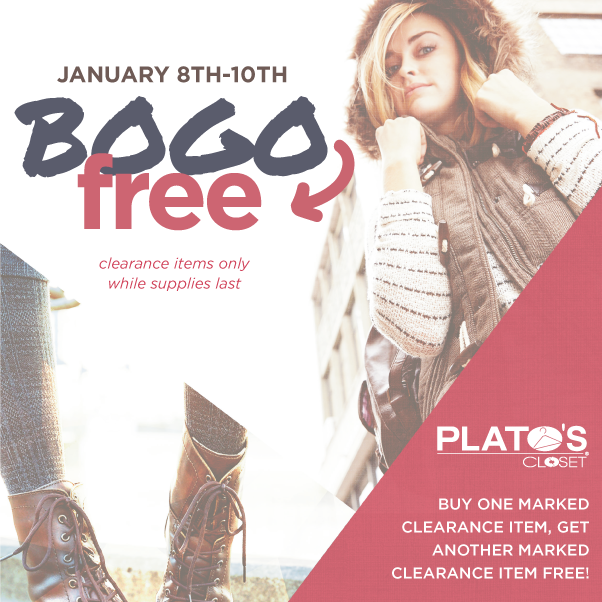 Buy one marked clearance item and get another marked clearance item for free! Go home with some stylish new clothes at a great price.